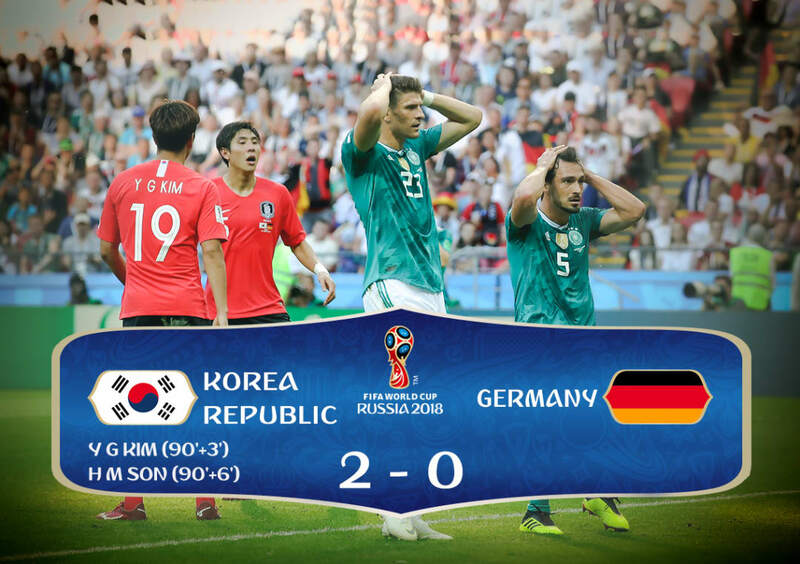 Defending champions Germany have been knocked out of the World Cup in the group stage for the first time in history after losing 0-2 to South Korea on Wednesday. The four-time champions finished last in Group F, with Sweden and Mexico advancing. Defending champions have failed to reach World Cup’s second round for three successive editions now. ANALYSIS: Which defending champs have made 1st round World Cup exits? Winners of 1934 and 1938 FIFA World Cups, Italy were eliminated in first round of 1950 edition, played after a 12-year gap due to World War II. 1958 and 1962 World Cup trophy holders Brazil made a group stage exit in 1966. Defending champions France (1998), Italy (2006), and Spain (2010) made first-round exits in 2002, 2010, and 2014 respectively.